COLOR: Rose in the color, with notes of summer truffle slice. 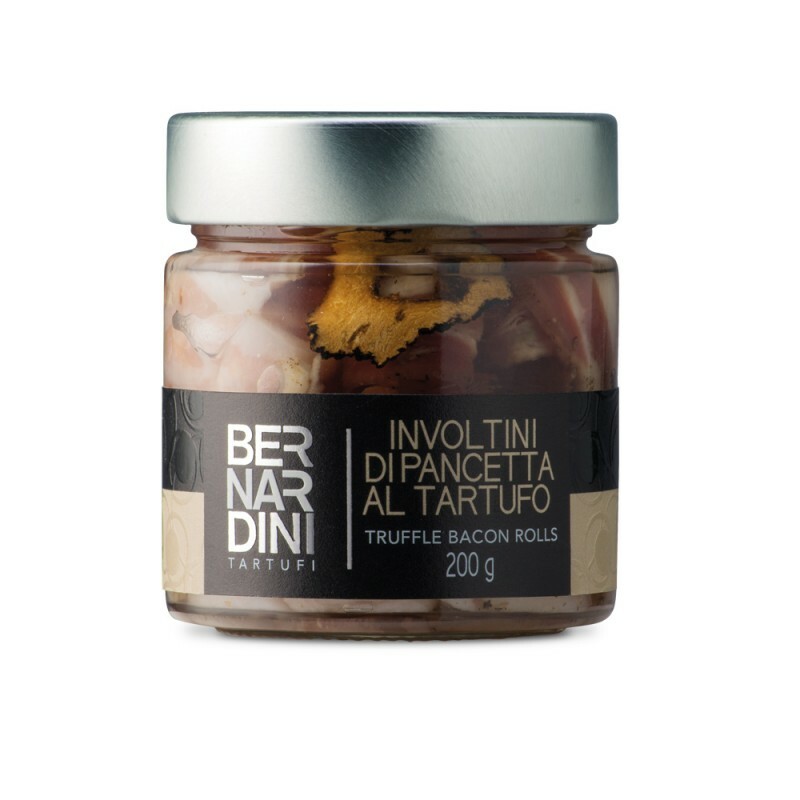 INGREDIENTS: Bacon ( pork, salt, dextrose, natural flavours, preservatives: E250, E252), sunflower oil, dry summer truffle ( Tuber aestivum Vitt. ) 0.5% ( corresponding to the 2% of fresh truffle ), flavour. USEFULL INFORMATIONS: Ready to use ideal for apetizers. 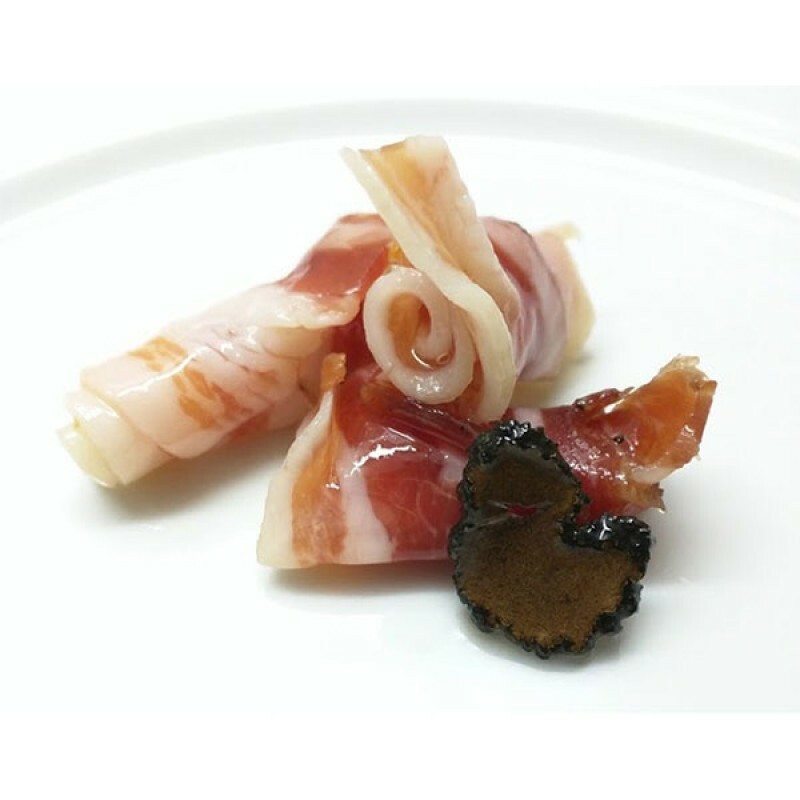 TASTE: The typical truffle flavor gives this product an extraordinary harmony. PRESERVATION: 9 Months room temperature. Store at room temperature far from direct light and heat sources. Once opened keep in the fridge at temperature 0/+4 C° and use within few days.